I quite like these old glass light shades. 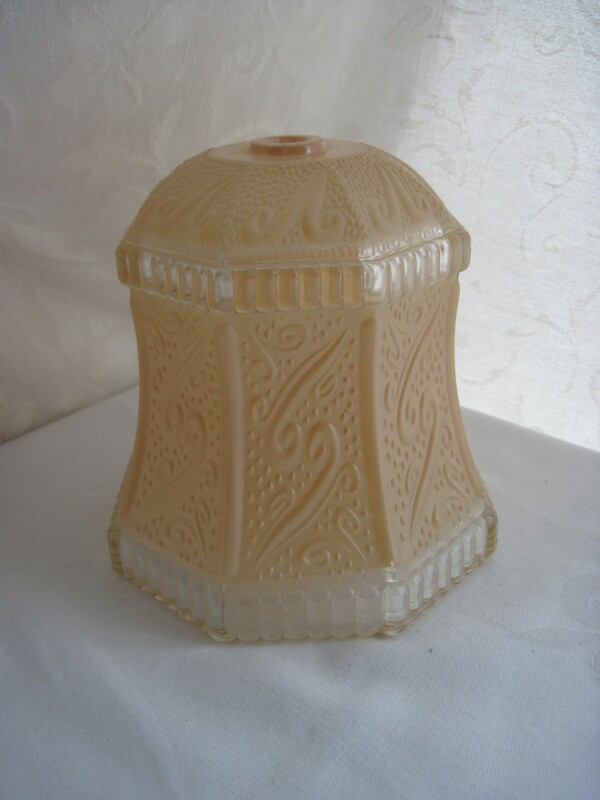 This one is about 6″ tall and is made of very thick and heavy glass, and painted with a soft frosted amber colour. It is in excellent condition and I think very charming and simple. Probably suitable for a hallway more than a bedroom. I would date this to around the 40’s or earlier. Found it at my local thrift store (my favourite hangout during the day). Note: This has been SOLD! !